You might have read last month about a house in Sunnyvale that sold for $782,000 over asking price. It pretty much shocked the entire Bay Area, but if you've been house hunting over the last few years, you might not be all that surprised. The house wasn't big. 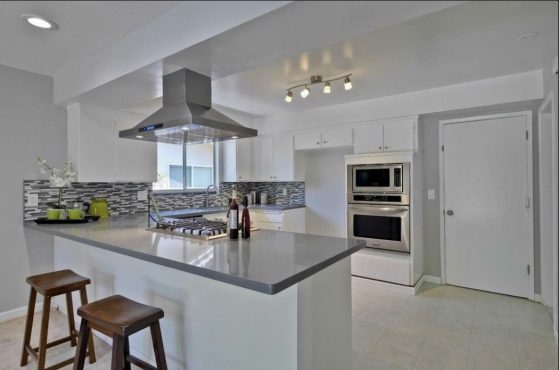 It was a modest four bedroom two bath and it was less than 2,000 square feet. It was just a regular old middle-class home in 1963, the year it was built. That was before Apple moved in, or Yahoo or Google. Now Sunnyvale is among the most expensive real estate markets in the nation. The house, at 1129 Prunelle Ct., was listed at $1,688,000, but after a bidding war with 20 offers in a week, the sellers accepted a bid of $2,470,000. That's a whopping $1,242 per square foot in a city where the average price per square foot is $819. In the hot Bay Area real estate market, selling for over asking has become the norm. Nearly 3/4ths of homes sell for above list. 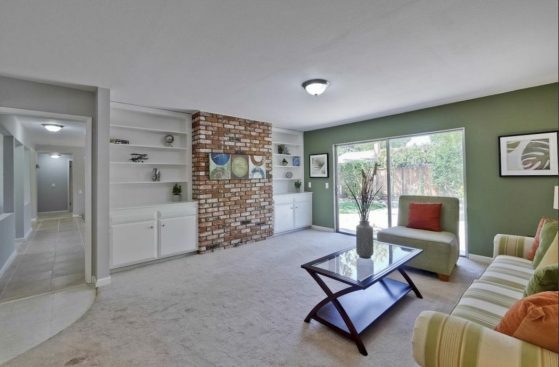 Previously, a small house in Cupertino sold for $660,000 above asking. So what was it about this particular Sunnyvale house? For starters, the mid-century house was simply and meticulously decorated in a modest blend of contemporary and traditional. The house is also bright and sunny, but cosmetics were not why the house sold for 34 percent more per square foot than the average Sunnyvale property. As they say, it's location, location, location. In an area where the average commute is about an hour a day, this home is located just a mile from Apple's new headquarters, and of the couple who bought the home, at least one works for Apple. The other works in the tech industry as well. The price per square foot begins to lose its meaning once you learn that the house sits on a huge 13,000 square foot lot. That's about double the average lot size in Sunnyvale. While this home wins the current prize for highest above asking, it won't keep the crown for long. There is too much demand for a shrinking real estate inventory.